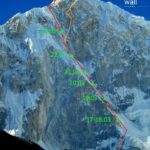 Because of its technical difficulty and unstable weather, Jannu is rarely climbed. The great Lionel Terray and a group of French alpinists made the first ascent in 1962, from the south side. 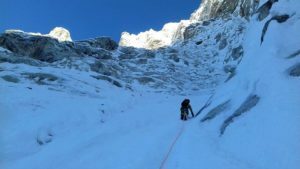 But as we reported yesterday, two Russians, Sergey Nilov and Dmitry Golovchenko are currently taking on the unclimbed South East face, which has been attempted only once, a decade ago. A third member, Marcin Tomaszewski of Poland, backed out near the start of the climb, because he felt the terrain was too uncertain and dangerous. 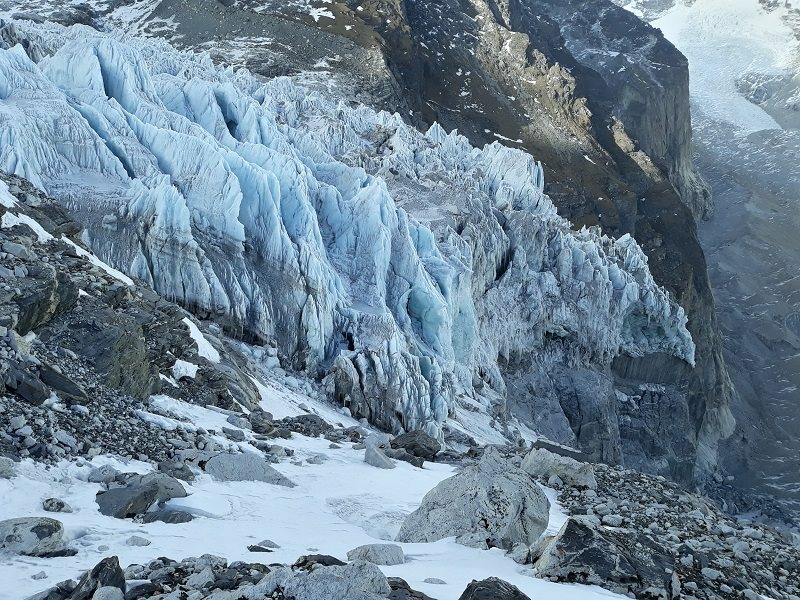 Five of their porters, carrying loads up to 60kg, suffered from snowblindness and had to turn back. 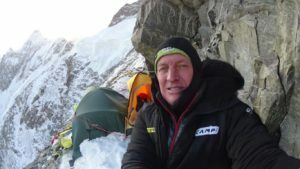 Finally, as soon as they reached Base Camp at 4,700m, the chain on their toilet broke and it overflowed. Then someone filled the generator with the wrong type of fuel, cutting off their electricity, and horror of horrors, their internet connection. Not all climbing problems are heroic. Jannu Base Camp. Toilet not visible. Wifi not working. Perhaps the recent death of his friend and former climbing partner, Tom Ballard, also played on Tomaszewski’s mind. 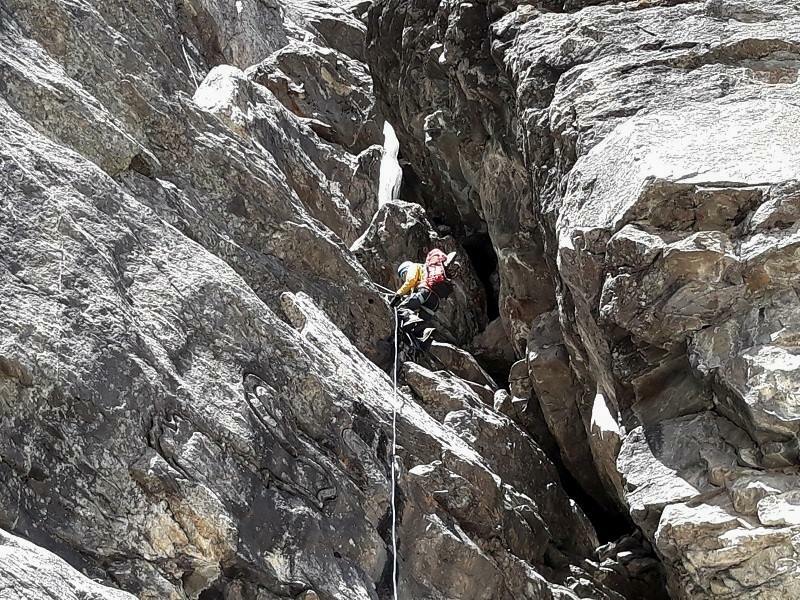 On social media, he paid tribute to a “wonderful and quiet man” with whom he had put up new routes in the Dolomites and on the Eiger. 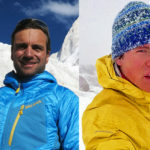 The pair had also planned to climb together in India later this year. 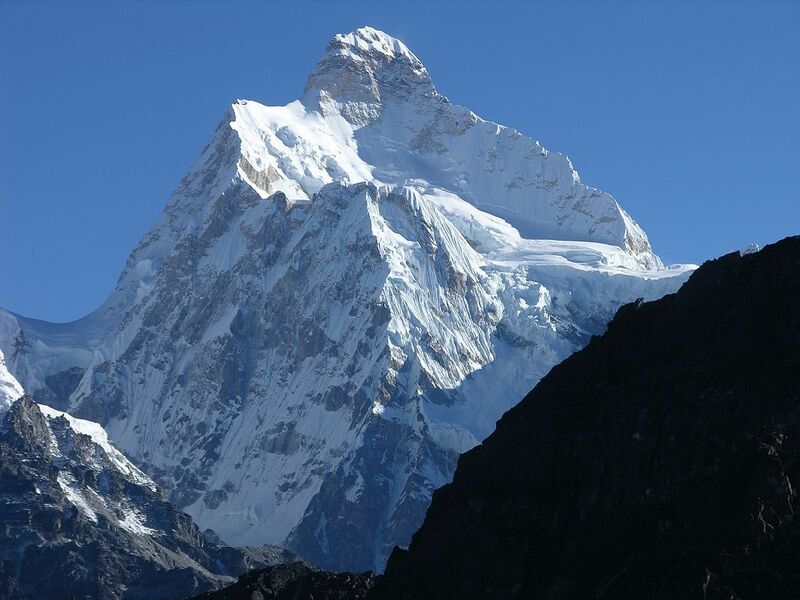 Meanwhile, Nilov and Golovchenko press on, trying to crack this hard nut of the Himalaya. 3 Comments on "Mount Jannu: Why is it So Hard?" Good luck to the guys. Jannu looks spectacular. So hard to get even to the base camp. Do you know how many of them in there? 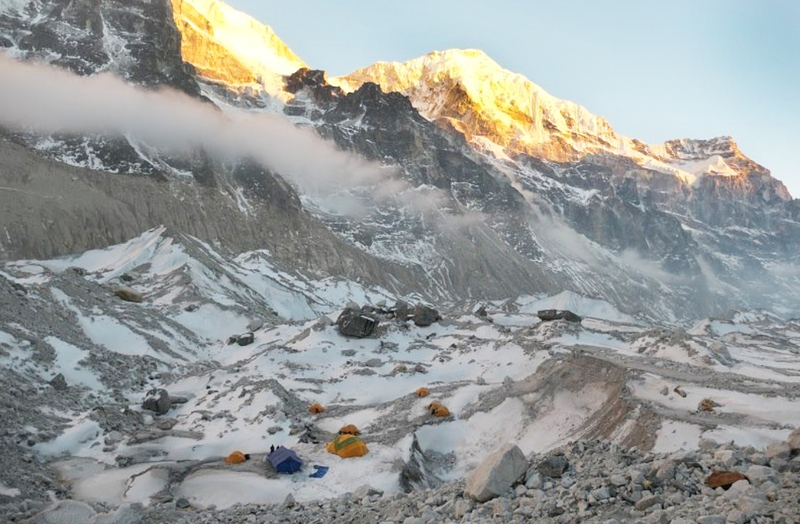 On the pic there are atleast 7 tents i can see, isnt it too many for just 2 climbers? Hi Vladimir. What a stunning mountain! 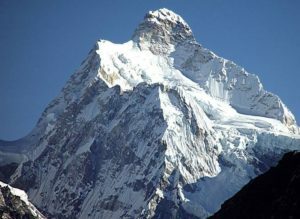 We don’t know of other teams on the mountain, but there are 3 climbers (1 withdrew), plus a team filming the expedition. That might explain the 7 tents. Cheers. Highest praise for Marcin Tomaszewski for appreciating the value of his life!